What if paying for a drug with insurance didn't cost you less, but made the drug more expensive That's what a new lawsuit filed against CVS is alleging. The suit claims that the pharmacy agrees with pharmacy benefit managers, or PBMs to sell certain drugs at a higher price if a customer is paying with insurance. The lead plaintiff in the case is a woman named Megan Schultz, and she claims that she bought a generic medication at CVS that cost $165.68 under her insurance but would've cost only $92 had she paid in cash without using her insurance. 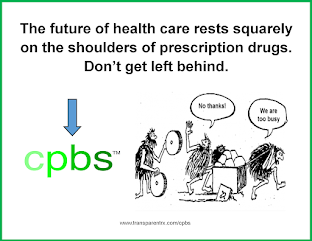 The PBMs can control which pharmacies are "in network" for their clients, the insurers. "These agreements with PBMs are based on secret, undisclosed contracts, under which CVS agrees to specific amounts it will charge and collect from insured customers — but the customers can neither see nor learn about these agreements or their terms from the pharmacies, the insurance companies, or anyone else. 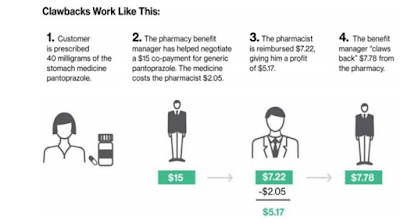 The linchpin of the scheme is that the customer pays the amount negotiated between the PBM and CVS even if that amount exceeds the price of the drug without insurance." "Co-pays for prescription medications are determined by a patient's prescription coverage plan, not by the pharmacy. 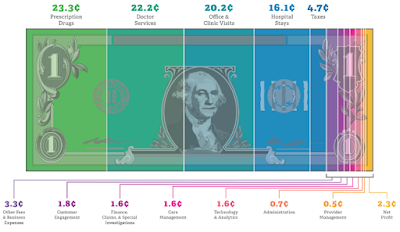 Pharmacies collect the co-pays that are set by the coverage plans. Our pharmacists work hard to help patients obtain the lowest out-of-pocket cost available for their prescriptions. Also, our PBM CVS Caremark does not engage in the practice of co-pay clawbacks. CVS has not overcharged patients for prescription co-pays, and we will vigorously defend against these baseless allegations." Tyrone's comment: If I were a Director of Benefits or CFO I would be looking into this with every resource at my disposal. If it was discovered that my company was a victim of this practice [clawbacks] I would be asking my advisers how could you let this happen? As the saying goes, where there is smoke there is usually fire. Those of you who follow me know that I don't mince words so this next sentence should not come as a surprise. The truth is most employers are overpaying (when you boil it down a clawback is an overpayment) because their advisers are overmatched and/or are in bed with PBMs so they have little incentive to eliminate hidden cash flows like clawbacks. Since the contracts employers sign permit these opaque practices, in the end the plaintiff will likely lose or the case will be dropped. This isn't CVS's first rodeo. The good news is there is a solution should you choose to fight back. The lawsuit claims that this doesn't happen with every prescription, just a select number. However, the drugs named in the suit — including Tamiflu, amoxicillin, and Viagra — are pretty common. Three large PBMs control about 80% of the market in the United States. One of them, Caremark, is owned by CVS, and another, OptumRx, is owned by UnitedHealth. The largest of all PBMs, though, and the only stand-alone one, is Express Scripts.